Turkey survived a military coup attempt on July 15, 2016 that killed 249 people. 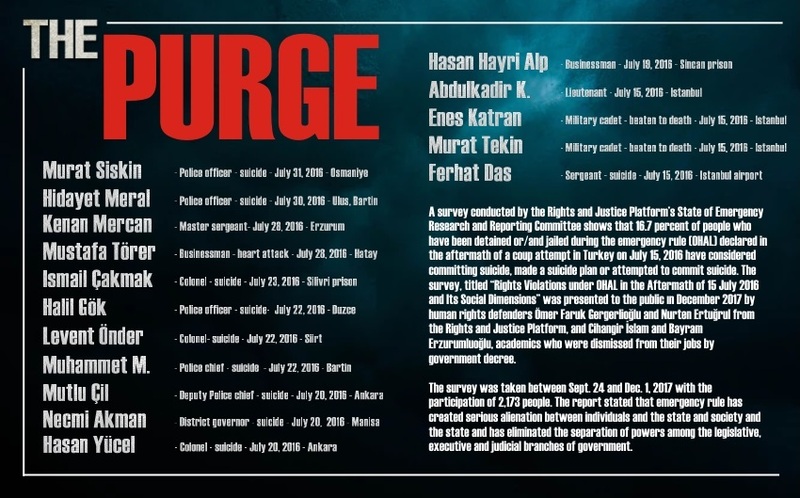 Immediately after the putsch, the Justice and Development Party (AKP) government along with President Erdoğan pinned the blame on the Gülen group. 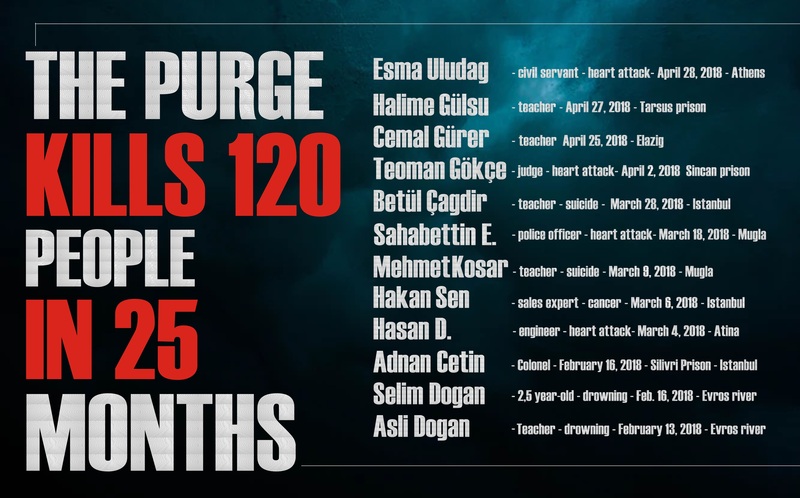 Sınce the coup attempt, at least 106 people have died while in pre-trial detention or in exile somewhere in the world. 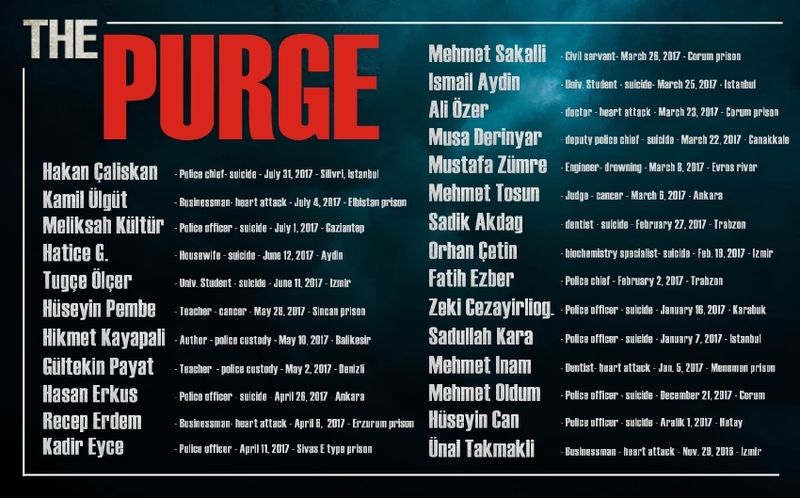 The purge is still unabated. Everyday tens of people from different walk of lines are being detained and put in pre-trial detention across Turkey, forcing many others to flee the country via illegal ways.